Looking for a fun, economical way to reward customers, students or employees? These cheap prize wheels are a great solution and are all listed under one hundred and fifty dollars ($150.00). 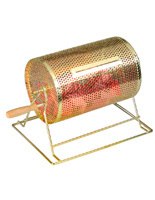 Also included are low-cost raffle drums for additional promotional options. Cheap prize wheels like these can generate excitement in offices, classrooms and retail stores by getting people involved and interested. These affordable stands are economically priced versions of our larger wares. All units are either made of durable cardboard, PVC, acrylic or metal, rather than brittle materials like Styrofoam. We offer cheap prize wheels for sale, also known as low-cost carnival contests, in a number of different styles and designs to meet any need. What types of inexpensive promotional games are offered? 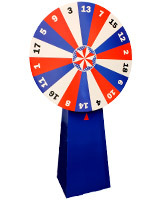 Cheap prize wheels can have a “wheel-of-fortune” style disk with sections for writing. Cardboard fixtures are the least expensive, but do not have an erasable board. Any writing on the numbered face of these spinners is permanent and cannot be washed off. Optionally, users can have the numbers correspond to specific rewards to avoid permanently marking the unit. Cardboard stands are much stronger than Styrofoam models and are available in a tabletop or floor standing configuration. 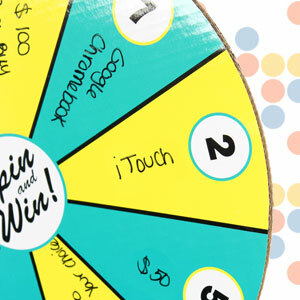 Our affordable spin-to-win prize wheels for sale can also feature a PVC board for erasable writing. 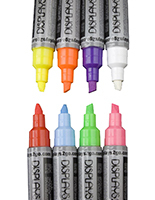 These write-on spinners are made for countertops and have a white or multicolored backing surface. While they don’t have pegs like more expensive attractions, these feature a small gear that clicks to attract attention. With their durable dry erase PVC board, these reusable promotional tools are great for any giveaway. 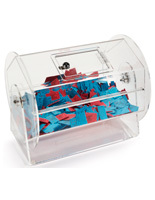 Ticket drums feature an entirely different design and can be used for picking ballots, collecting suggestions and calling bingo numbers. Made of sturdy metal or acrylic, each tumbler has a strong and attractive body that’s ideal for mixing any type of submission. One unit features a crank for easy spinning while the clear drum has a locking door with a magnetic sliding bar. Our selection of affordable prize wheels for sale are ideal for an assortment of locations and events. Their low price makes them excellent for any occasion. Where can these low-cost spinners be used? Companies can use these inexpensive wheels to reward employees for good performance, office events and holidays. Giveaways will raise moral and keep workers involved. 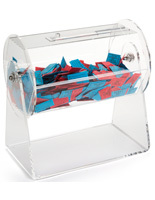 Schools can use these fixtures to motivate students with game show style exercises that make learning fun. Teachers can use them to review important information before a quiz or a test by assigning a question to a space on the board and choosing pupils to take a spin. At trade shows, promotional wheels will garner attention and attract passersby to a booth. Giving away samples with one of these promotional games will cause visitors to have a positive and involved experience at any table. Where Styrofoam models would break, our strong disks and tumblers can withstand traveling between different venues. As these spin-to-win contests become increasingly popular there is a greater divide between high end selections and knock-off offerings. At PrizeWheels2Go.com, we have strived to put together the highest quality wares at economical or discount prices. Our spinning fixtures are not manufactured out of Styrofoam and are built to withstand the rigors of day to day use. Even though our custom event utilities are modestly priced, it does not mean that these listings are of inferior build or craftsmanship. All models are built to last and are made with sturdy acrylic, cardboard, steel or pvc. The goods listed here are manufactured to the same top quality standards as our more expensive offerings.